The DANSATHON is a connected, collaborative, European event to explore the innovations which will contribute to shape the dance sector in the future. The idea was born from a shared desire by Maison de la Danse and BNP Paribas Foundation to combine dance and new technologies (motion capture, IA, VR, video games, data, etc.) to explore new ways to dance, new ways to create, to perform and to share dance with an audience as diverse as possible. This desire met the projects developed by the Sadler’s Wells in London and Théâtre de Liège in Belgium, and the 4 institutions joined forces to create the DANSATHON. 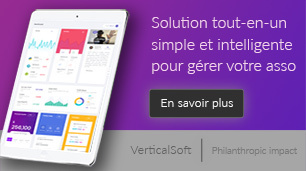 Applicants who want to be considered for the event, will be able to submit their application through an online portal supported by the VerticalSoft platform. reinstated as a Dance Workshop, a space for creating, for producing and a laboratory for promoting amateur activities, the Maison de la Danse will benefit from creative facilities which will complement the currently-used venue located in Lyon’s 8th district. Since its creation in 1980, the Maison de la Danse has been filming performances and, as such, has built up an extensive collection of audiovisual archives. Informative tools are created using this video base, including a freely-accessible video library, video conferences, an educational DVD “Le Tour du monde en 80 danses” (Around the World in 80 Dances), a documentary series “La Minute du spectateur” (The Spectator’s Moment) and now Numeridanse, the first multimedia dance platform in the world. This ambitious policy called « the digital house » aims to develop with the new technologies the digital creation, dance education as well as audiences development. Sadler’s Wells commissions and presents more new dance work than any other theatre in the world, embracing the popular and the unknown. Since 2005, it has helped to bring over 140 new dance works to the stage, many of them involving its 16 Associate Artists, three Resident Companies and four Associate Companies – the most exciting talents working in dance today. It also nurtures the next generation of talent through its artist development initiatives, and reaches over 25,000 annually through its learning and engagement programmes. Since the 2005/2006 season, the Théâtre de Liège has made Liège move every two years to the rhythm of the Emulation Festival, dedicated to young French-speaking Belgian theatre companies. Bolstered by their vigor and (im)pertinence, they take over various venues in the city. Besides this theatre festival, the Théâtre de Liège organizes every two years the Pays de Danses, an international contemporary dance festival. Since 2016, the Théâtre de Liège coordinates the European project IMPACT (International Meeting in Performing Arts & Creative Technologies) which articulates the performing arts with sciences and new technologies. The BNP Paribas Foundation has been supporting contemporary dance for 33 years. We accompany 17 artists and their companies to foster creation internationally. We also encourage experimentations at the crossroad of dance and new technologies, and we promote the commitment of artists and major dance institutions in the community. As we believe in cross-disciplinary approaches and hybrid experiences, we also support companies in the field of new circus arts. Companies: Alonzo King LINES Ballet, Anne Teresa De Keersmaeker (Cie Rosas), Chloé Moglia (Cie Rhizome), Emanuel Gat (Cie Emanuel Gat Dance), Etienne Saglio (Cie Monstre(s)), Groupe acrobatique de Tanger, Hofesh Shechter Company, (LA)HORDE, Jann Gallois (Cie BurnOut), Kaori Ito (Cie Himé), Phia Ménard (Cie Non Nova), Pierre Rigal (Cie Dernière minute), Sidi Larbi Cherkaoui (Cie Eastman), Tatiana-Mosio Bongonga (Cie Basinga), Cie Wang Ramirez, Cie XY, Yoann Bourgeois. Institutions: Biennale internationale des arts du cirque, Chaillot – Théâtre national de la Danse, Maison de la Danse de Lyon, Festival Montpellier Danse, Programmation danse du Festival d’Avignon. 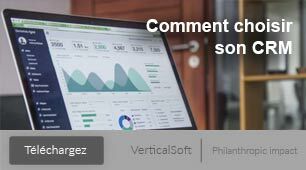 Article précédentRappel: mettez à jour le formulaire de dons en ligne de votre association avec l’arrivée du RGPD!Article suivantParis le 9 avril 2018 : VerticalSoft lance sur sa plateforme l’événement de DANSATHON organisé par quatre institutions, la Fondation BNP Paribas, la Maison de la Danse de Lyon, le Sadler’s Wells à Londres et le Théâtre de Liège.